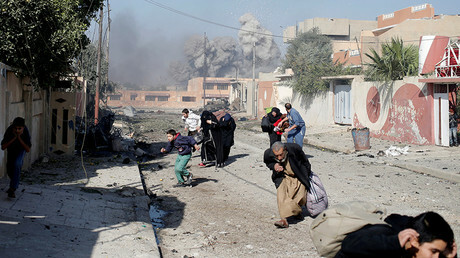 The families that lived in the heavily damaged neighborhoods of the western part of the city are unlikely to be able to return home for months, if not longer, says Lise Grande, Deputy Special Representative of the UN Assistance Mission for Iraq. People are starting to return to the Iraqi city of Mosul after Iraqi government declared victory over ISIS in the area on Monday. However, the UN says it will take billions of dollars and years to rebuild the city, as most of Mosul has been devastated by nine months of fighting. According to Human Rights Watch, the coalition used a number of weapons that are inaccurate and could be "unlawfully indiscriminate if used in heavily populated areas." Moreover, there is another liberation campaign underway now. US-backed rebels prepare to seize ISIS Syrian stronghold of Raqqa. The UN says between 30,000 – 50,000 people are now trapped in the city. Almost 200,000 have already been displaced. RT: Amnesty International said tactics used by Iraqi forces and their US-led coalition allies might even amount to war crimes. What do you make out of that? 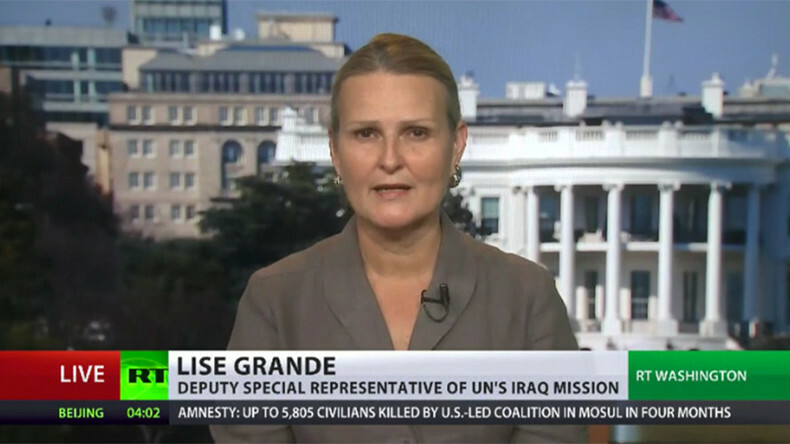 Lise Grande: I currently service the humanitarian coordinator for Iraq. I think it is important to recall that at the beginning of the battle for Mosul in October last year, the Iraqi security forces committed to a humanitarian concept of operations, which puts civilian protection at the center of their battle plan. 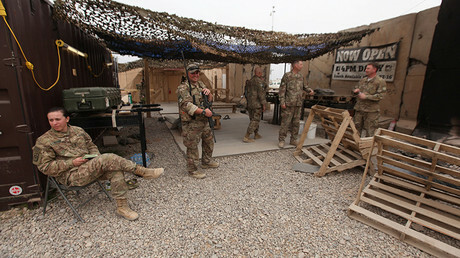 They committed to do everything possible in order to ensure civilians were protected during the fighting. They remain committed to that humanitarian concept of operations throughout the nine-month struggle to retake Mosul. I think this has been a very important effort; it has been a significant effort. 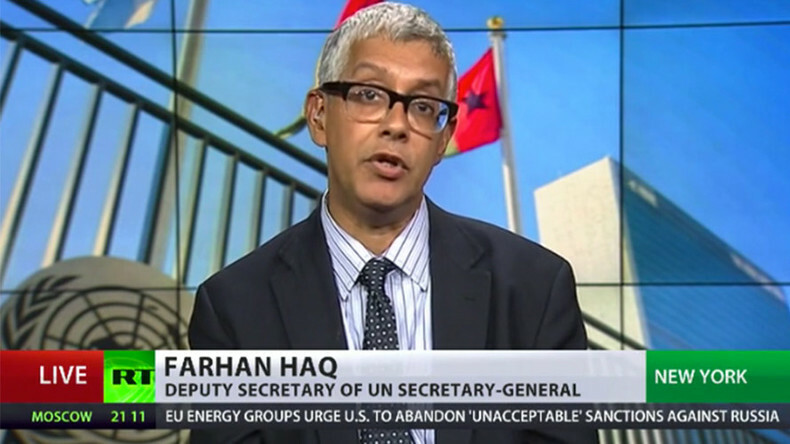 The UN has not been on the ground on the battlefield. So for us to confirm, or not confirm what Amnesty International is reporting – is something that we can’t do at this particular stage. RT: At first it was believed the Mosul offensive wrapped up very quickly, but that was far from the case. Why do you think it dragged on? LG: It has been very clear that the fighting has been the fiercest of the entire military campaign. There are still pockets where fighting is ongoing in the Old City. We don’t know for sure, but we estimate there are probably hundreds of civilians who are still trapped in these pockets. Their conditions are alarming. We understand the people who are trapped include elderly, disabled, young children who have been separated – it is heartbreaking. There are many of these people who can’t even walk across the front line to safety. They are so weak that they have to be helped. We know that they haven’t had food. Many of them are desperate for water. We are very, very worried about all of these people. The United Nations Development Program has finished a preliminary damage and loss assessment of western Mosul. There are 54 residential neighborhoods in the western part of the city, and 15 of them have been heavily damaged, destroyed; 23 of them have been moderately destroyed; 16 lightly destroyed. I think we have to be honest that the families that lived in the heavily damaged neighborhoods are unlikely to be able to go back to their homes for months, if not longer. For families who come from the moderately and lightly destroyed areas, the governments and ourselves are going to be doing everything we can to repair public infrastructure – electricity, water, sewage systems, and remove the explosive hazards so the families can go back and rebuild their lives. RT: Will the cost of liberating Raqqa be as high in terms of civilian suffering as in Mosul? 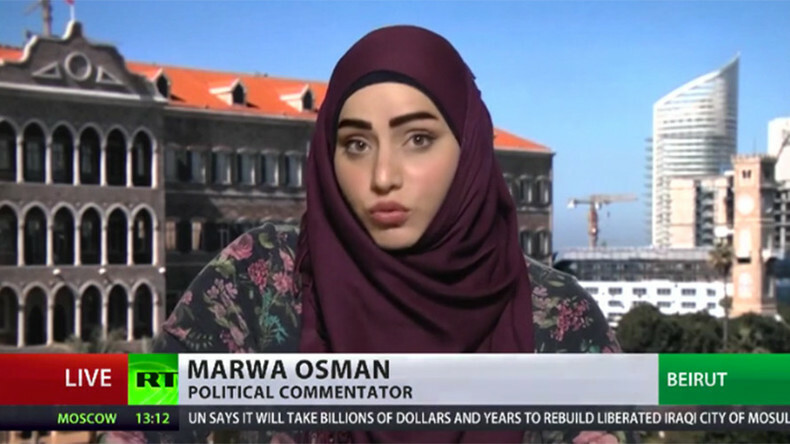 Marwa Osman: No, definitely. An ISIS defeat must not come at the expense of the civilians, especially the civilians in the besieged areas like it happened in Mosul, or right now what is going on in Raqqa. I think the US in the past year since January up until now – they have been moving very fast in Mosul – that is what we saw. We also saw a ban on media since the offensive began against ISIS inside of Mosul – they wouldn’t allow anyone to take pictures or to come out with reports about what’s going on, because of the massive amount of airstrikes that were happening – on civilian areas, as well as on ISIS held locations. So now the fear is about the fact that the entire province of Raqqa, not only the city of Raqqa is now being targeted, or being prepared to be targeted as a first phase in a campaign to liberate Raqqa. But the fact that there are huge numbers of civilians there makes it very risky for the US-led coalition to start such an air offensive, similar to that in Mosul. For example, already there are 160,000 people, civilians, who have fled the area. But there are more than 150,000 in the entire Raqqa Province that are still besieged by the terrorists that are not allowed to leave. Therefore, any sort of a campaign against the area will almost definitely increase the number of civilian deaths. To be honest with you, the US has not made any sort of willingness to defend or to protect the civilians. They put a plan, and they go on with a plan, and they don’t take any concern, whatsoever, given the fact that there might be civilians. We did see that within the short span of four months between January and March, there were more than 500 deaths, civilian deaths, in Mosul. 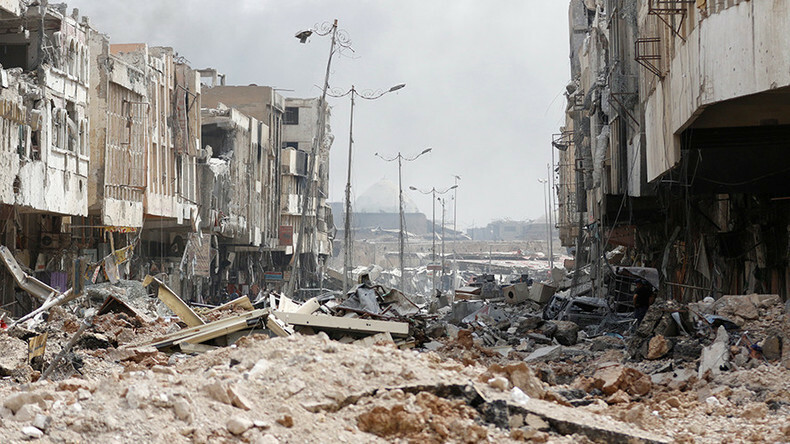 So we might see the same in Raqqa. RT: The city is in ruins, 6,000 residents have been displaced. When do you think people can start returning and rebuilding their lives? Farhan Haq: We’ll have to see. Of course one of the key aspects of that is how much we can get humanitarian access and get aid into the city. The population desperately needs aid. The UN system has provided humanitarian aid to people who have been fleeing from the city. Now what we’re trying to do is see whether you can restore services to the people in the cities so that they have food, water, regular sanitation. Ultimately what we’re hopeful now that the city is out of the control of ISIS is that you can have all that. RT: How different has been the liberation of Mosul, for instance, compared to the liberation of Aleppo in Syria? FH: Those are separate cases. But in all cases ultimately the key aspect is that ISIS is a force that through its actions, through its targeting of minorities, though its killings, its rapes have made clear their hostility to any of the forces in the outside world, who represent the rule of law. So it is important to take their control out of the cities. Now that they have been pushed out of the major population areas, there are now tens of thousands of people that can live more freely and that is very crucial aspect.